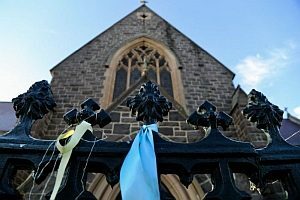 Amid international media hype and confusing reporting, Australia’s Catholic leaders delivered their official response to the Royal Commission on Institutional Responses to Sexual Abuse last week. So, has the Australian Catholic Church “rejected mandatory reporting“, as Al Jazeera published? Or did The Hindu get it right with their headline: “Australian Catholic leaders vow to end abuse cover-up“? The devil is, as always, in the detail. And there is a lot of detail. The joint response from the Australian Catholic Bishops Conference (ACBC) and Catholic Religious Australia (CRA), which represents nuns, sisters and brothers, monks and friars, says bishops and religious leaders accept most of the recommendations of the royal commission. Simultaneously, the long-awaited Truth, Justice and Healing Council (TJHC) report, a self-analysis commissioned by the ACC and the CRA, was made public — it’s a bitter medicinal pill Catholic leadership themselves had paid for and asked to be administered. The bottom line is that the diverse and independent parts of a complex Catholic Church in crisis have managed — for better or for worse — to pull themselves together and form a coordinated response.